In today’s content-saturated landscape, one of the most important skills that any creative person should possess is the ability to tell a story that will engage and resonate with an audience. But storytelling doesn’t just apply to books; it’s changes the way we approach design, write copy, produce campaigns, launch Kickstarter proposals, and bring so many different creative projects to life. One medium that expertly combines well-crafted storytelling with an emotional connection is film. There’s no other format that provides the same chills, thrills, tearjerkers, heart-wrenching and intrigue that cinema does. Because film has the ability to captivate an audience like no other, so many marketing firms and advertising agencies are now leveraging cinematic storytelling to produce effective branded content that captures consumers' minds - and hearts - in a saturated market. The advertising industry has, for example, been a great platform for vivid storytelling: ads from Toyota, Bud Light and Mountain Dew now have the same big-budget, star-studded and extravagant approach as any other Hollywood blockbuster; Super Bowl commercials have themselves become a traditional experience, with fans cheering on their favourite ads alongside their teams; and Nike has, for over two decades, become the playground for Hollywood filmmakers like Spike Jonze, David Fincher, Dominic Sena, Guy Ritchie and Spike Lee to make the most creative and confrontational campaigns in the history of advertising. What if you hide messages? Almost twenty years since its release, David Fincher’s cinematic adaptation of the 1996 novel of the same name written by Chuck Palahniuk is still talked about and celebrated for its cult classic status. From the cinematography and violence to the quotables that have been endlessly referenced throughout popular culture, Fight Club has had a huge cultural impact in filmmaking and storytelling. But the film just shock audiences with on-screen grit; much about Fight Club’s impact had to do with what audiences didn’t see. To this days, fans discuss and debate theories on the hidden clues, easter eggs and flashing images that appear - or don’t appear - throughout the movie. Fight Club showcases Fincher’s ability to play with optical illusions and subliminal messages, which reflect the director’s penchant for provocation and psychological storytelling. What if an object narrated your story? ﻿Based on a screenplay originally written in 1935, the Keva Rosenfield-directed film took audiences on a journey through the unpredictable life cycle of a $20 bill - from an ATM mishap all the way to its final resting place. Along the way, the note finds itself in the hands and lives of several people: a baker, a homeless woman, a stripper, two thieves, a bowling alley owner, a mortician, an aspiring writer and many more unlikely characters. The movie was able to weave together a slew of different perspectives by having a universal object (i.e. money) that slipped seamlessly from one person to another, over and over. Acclaimed film critic Roger Ebert called the movie, “a wonderment at the unpredictable world we live in and the way chance plays a role in our lives.” Twenty Bucks is a great example of how creatives can think about what an object - animate or inanimate - would say about your story. What if you divided your story into mini-stories? The ‘coming-of-age’ genre has probably been pitched to death in many a Hollywood studio. But when Barry Jenkins’ released his second feature film, the Academy Award-winning movie Moonlight, he brought an incredibly beautiful and unique take on the biographical genre. 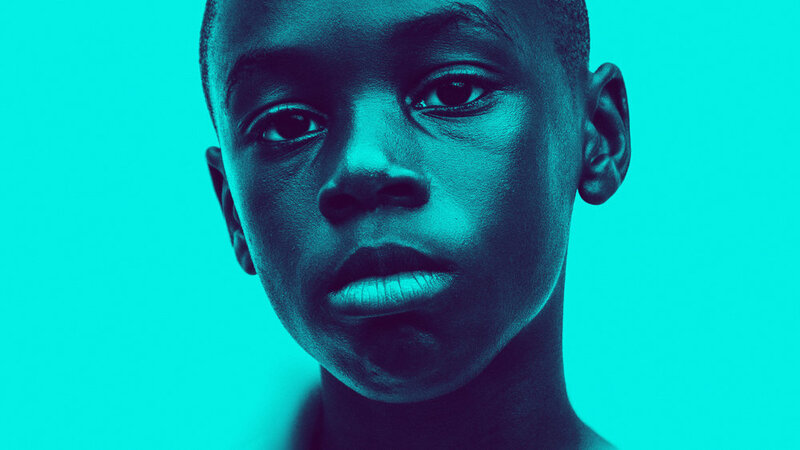 Moonlight tells the story of Chiron, a young boy living in a poor Miami neighbourhood who, throughout his life, is moulded by the difficulties he endures coming to terms with his identity and sexuality. Whether it’s an obscure comedy, an edgy cult classic, or an Academy Award-winning drama, we can all recognize the value in challenging the medium of stories and apply it to any form of ideation. Stories, and how we tell them, are an essential part of what we create and imagine. To find out more ways to push your ideas further, check out our Storytelling Deck. It’s the deck for crafting cool stories and finding new narratives and ways to tell a story. For more information on how Triggers can be used in your campaigns, social media, videos and communication pieces, visit our main site.